CONCORD, NC (Feb. 11, 2019): Thirty-time Monster Energy NASCAR Cup Series (MENCS) winner Kurt Busch announced plans today for the KB100 Ticket Giveaway, which will offer 100 tickets for each MENCS race in 2019. All currently serving military members and veterans are eligible to register to be selected for tickets. 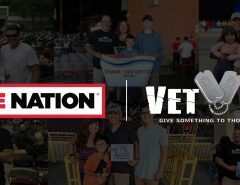 The KB100 program is part of a relationship with the Veteran Tickets Foundation (Vet Tix) and will begin with this weekend’s 61st running of the DAYTONA 500. Busch, the 2017 DAYTONA 500 and the 2004 series Champion, who will be competing in his 20th season in the MENCS, said, “I am appreciative of the sacrifice and commitment of our military service members and families.” Busch plans to personally purchase tickets throughout the 2019 MENCS season to be distributed through Vet Tix. 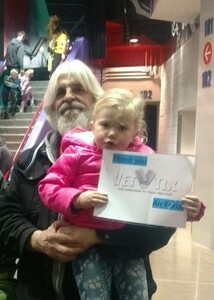 Vet Tix is a national 501 (C)(3)which has provided over 6 million free event tickets to more than one million members. The nonprofit organization spends over 95 percent back to its programs, giving back to those who have given so much. 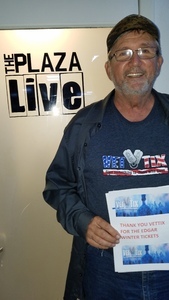 Fans can visit VetTix.org or 1stTix.org to learn more. 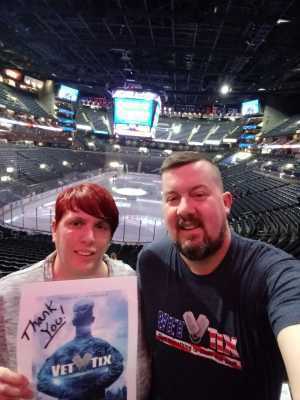 Since 2008, Veteran Tickets Foundation (Vet Tix) has provided free tickets to sporting events, concerts, performing arts and family activities to the currently-serving military, National Guard and Reserves, veterans of all eras, immediate family of those Killed in Action, and caregivers of VetTixers. In 2018 Vet Tix launched 1stTix to provide the same benefit to our nation’s current and retired law enforcement officers, firefighters, and EMTs. 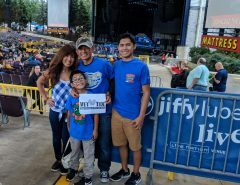 These events help veterans, and first responders reduce stress, strengthen family bonds, build lifelong memories, and encourage service members and first responders to stay engaged with American life and their local communities. Thank you to the donors who allowed my family to attend! 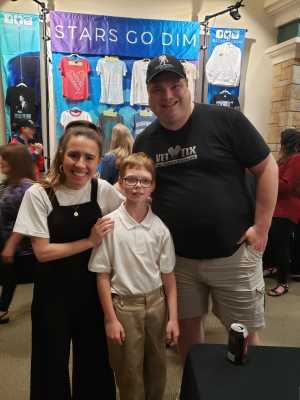 Francesca Battistelli is one of our favorite singers! A big Thank you to these Donor's for these Tickets not only to one of the most exciting Games I've ever seen but for allowing the opportunity to sit next to fellow Veterns and reminisce about their times in Service!! Spectacular time with just conversation and meeting new Veterns learning new things everyday. 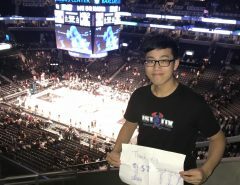 Wonderful experience brought to me by Fantastic Donors such as yourself!! Your donation does not go unrecognized as we spread the word of your generosity and Support!! Thank you!! Oh my goodness Vet-Tix and Feld Entertainment. Took the grangkids with my son, (grandkids ages three and five), what a blast! Their little eyes were like saucers, which looked priceless with their ear protection on. 🎧🙉 They usually aren't into grampy too much, so this was the perfect event for us. Thank you very much. Making memories. THANK YOU AEG FOR THE TICKETS. I'VE BEEN WANTING TO SEE THEM FOR YEARS. EDGAR AND THE BAND WERE ROCKING LIKE THEY DID BACK IN THE 60'S AND 70'S. HIS VOICE AND ENERGY HAD THE PLACE JUMPING LIKE BACK IN THE DAY. ALL THE MUSICIANS WERE REALLY GOOD AND THE GUITAR PLAYER WAS INCREDIBLE! !